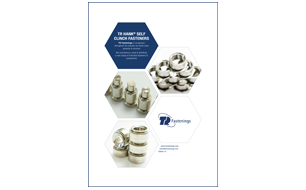 We manufacture, stock and distribute a vast range of industrial fasteners and associated components. 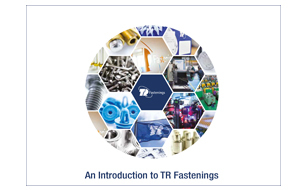 Introduction to TR and the services we offer. 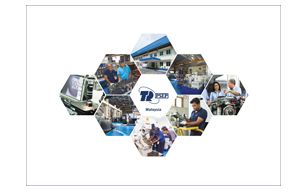 Introduction to TR core product range. 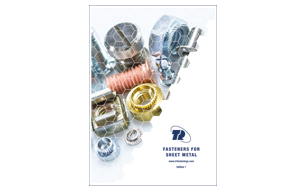 Overview of all Sheet Metal products. 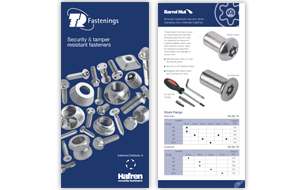 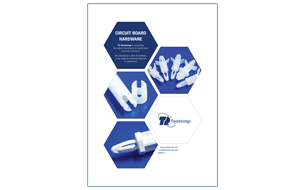 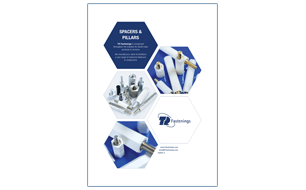 36 pg handbook detailing our range of security & tamper resistant fasteners. 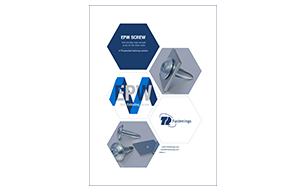 6 pg overview of our new EPW Self extruding high strength screw for thin sheet metal. 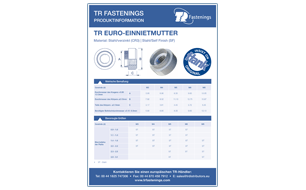 Technical information on all TR Hank® Self Clinch products. German language Self Clinch brochure. Technical information on all TR Fasteners for plastics products. 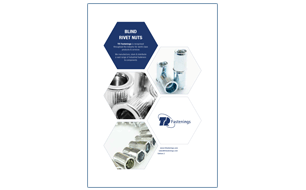 Technical information on all TR Blind Rivet Nuts. 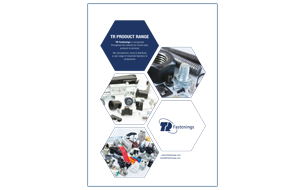 New product range now available from TR. 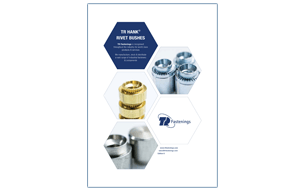 Technical information on all TR Hank® Rivet Bush products. 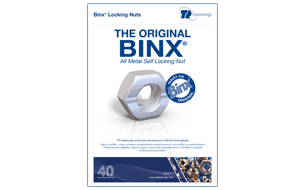 Technical information on all TR Binx® products. 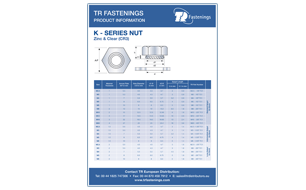 Overview of our K-Series range. 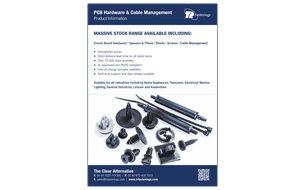 Overview of our Euro Rivet Bush range. 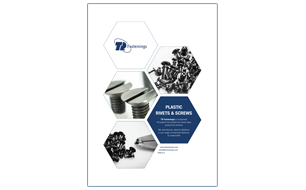 Overview of our Plastics Products range. 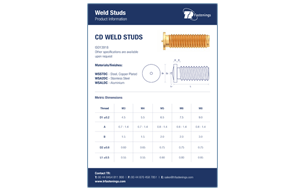 Overview of our Weld Studs range. 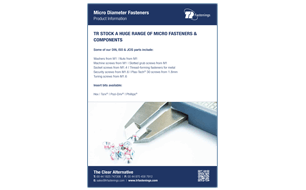 Overview of our Micro Diameter Fasteners range. 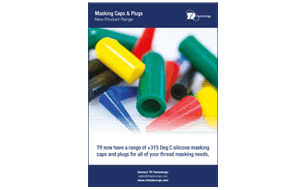 Overview of our Masking Caps & Plugs range. 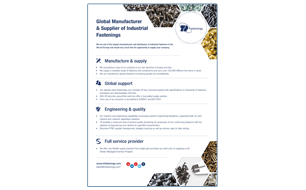 We supply over 5000 companies from all walks of industry around the globe. 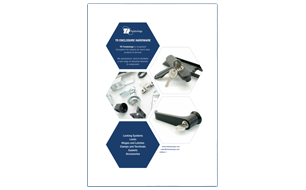 An overview on the services and products TR Fastenings supplies to the Automotive industry. 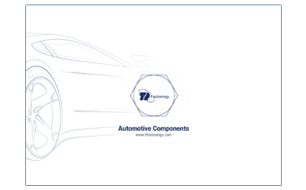 An overview on the specialised manufacturing process of 'under bonnet' components within the Automotive Industry. 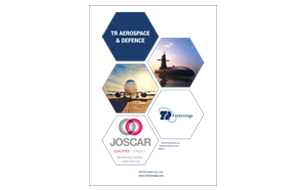 An overview on the services and products TR Fastenings supplies to the Aerospace & Defence Industry.